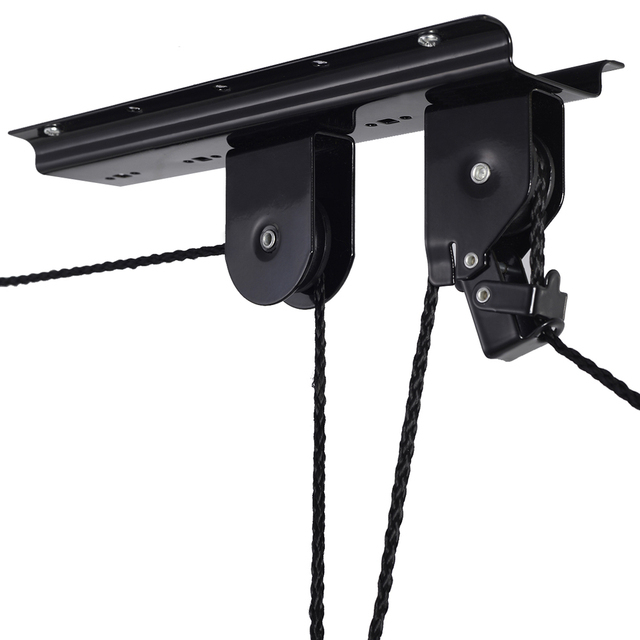 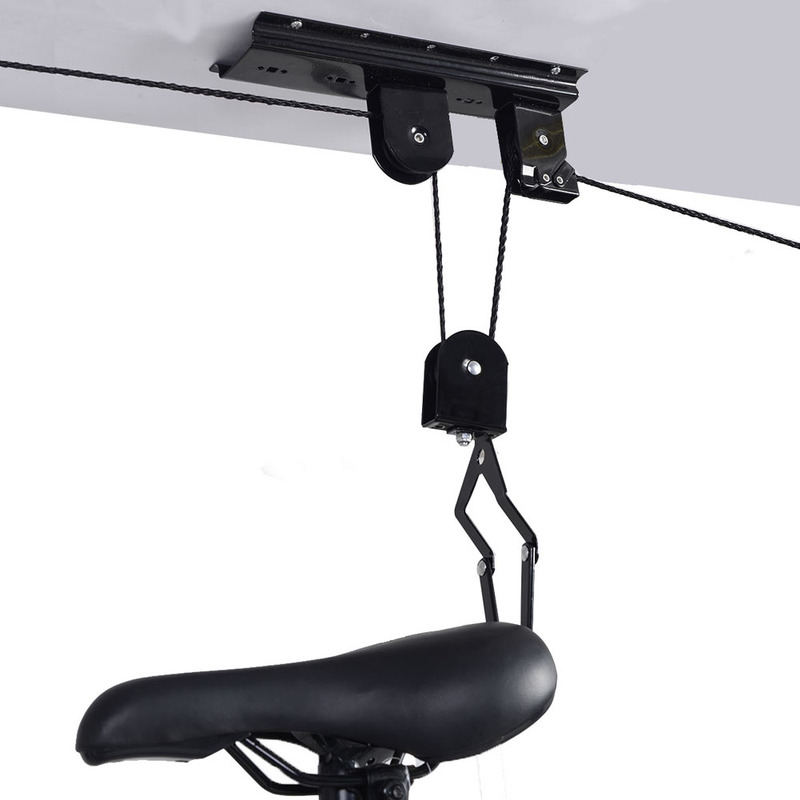 Our Roof Bike Hanger Set has a unique design that lightens the load while lifting the bike to the ceiling! Roof Bike Hanger Set lets you store your bike overhead, so it won’t clutter up your home, garage, or storage space. 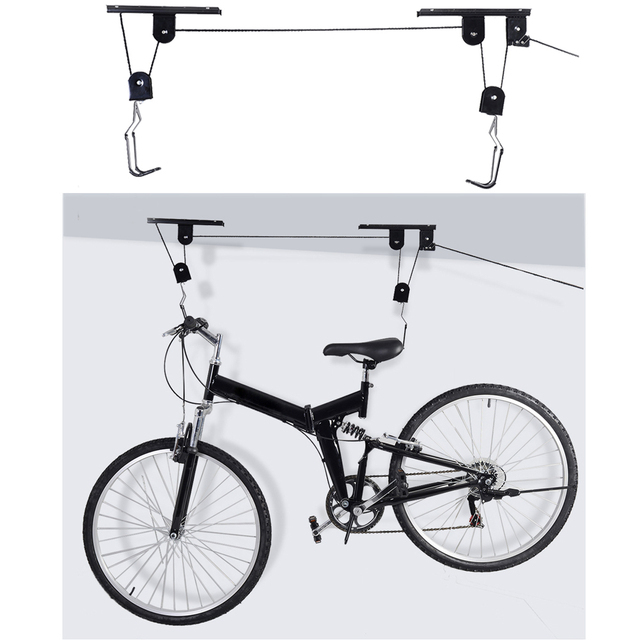 This ceiling-mounted bike hoist is designed for ceilings up to 12 feet. 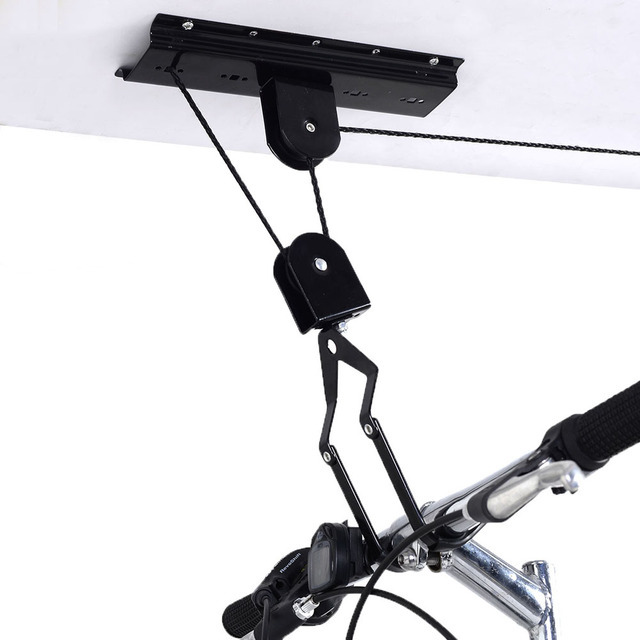 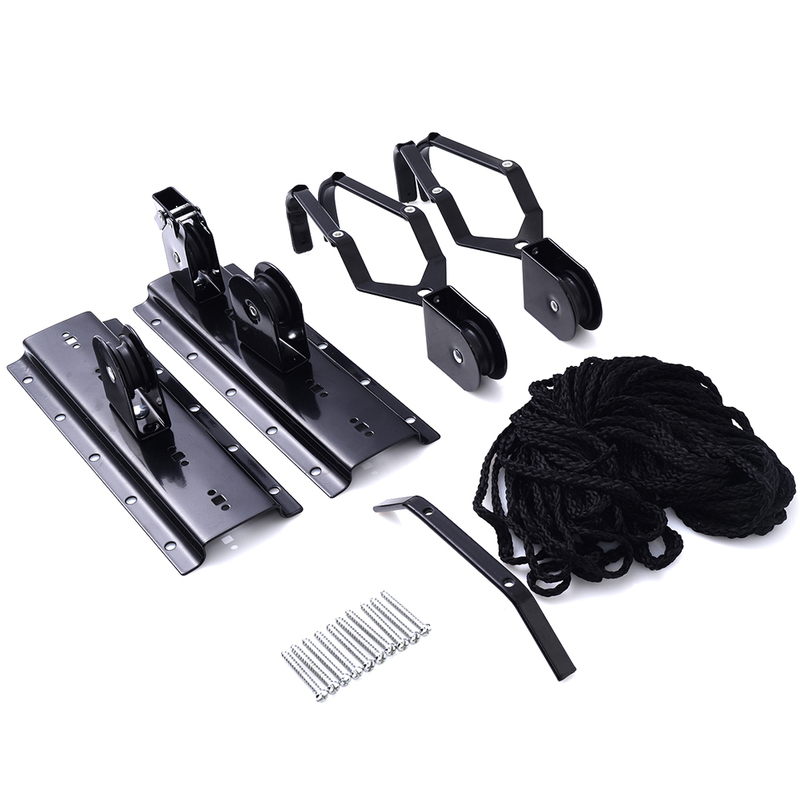 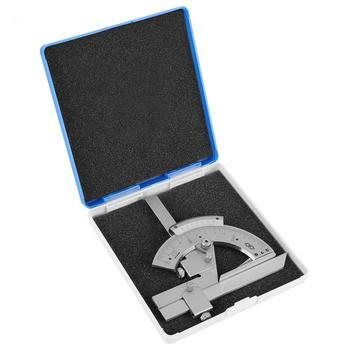 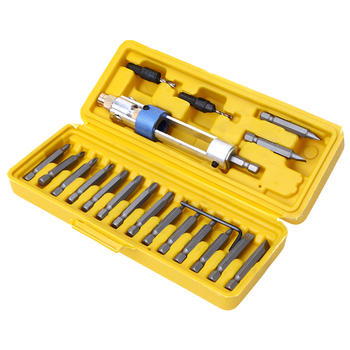 Installing the Roof Bike Hanger Set is fast and easy. 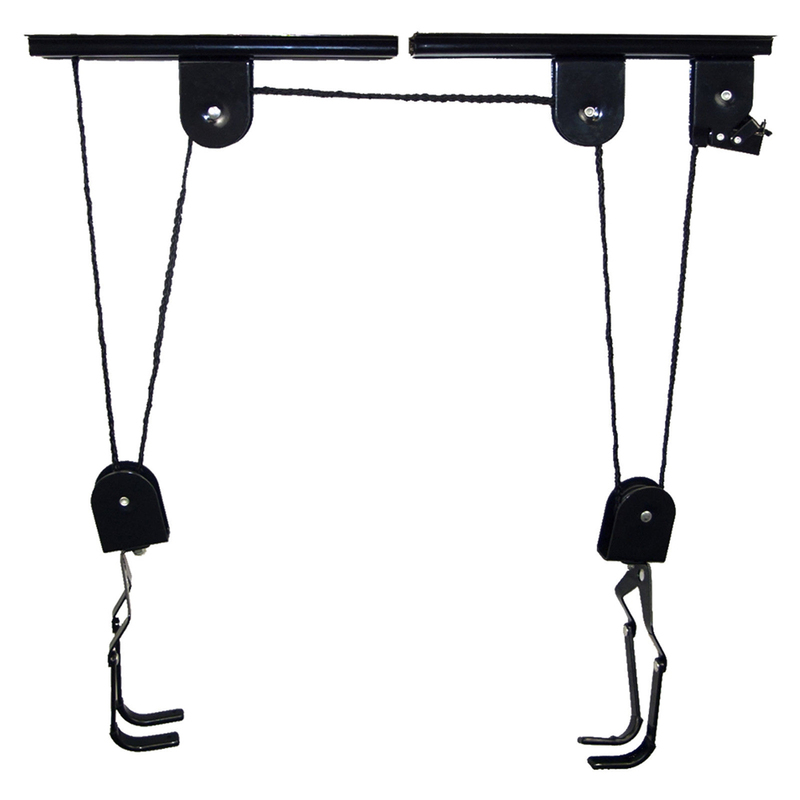 You can mount the hoist on a two-by-four and screw the two-by-four to a joist, or you can mount the hoist directly to the joist itself.